These cupcakes mark a very historical moment. I have officially found a caramel recipe that I not only can make without screwing up, but actually love, love, LOVE. Caramel and I have always had a very rocky relationship. I love eating it more than anything on the planet, but making it has always scared me. And for no good reason. I don't have any stories of caramel disasters or ruined pots with burnt sugar stuck to the bottom. I've made countless different recipes, countless times, all with decent enough success. But it was never quite what I wanted. It was always too thin, too thick, too light....basically, whatever I was aiming for it would always be the opposite. But then the other day, I was doing some caramel making research (as I do in my spare time, obviously.) and I found this recipe with a picture of the darkest, thickest, most gorgeous caramel I have ever seen. And in that moment I knew that all my problems were solved forever (all my caramel problems, that is. still can't figure out how to fit all of my baking pans into the world's smallest cabinet without a daily catastrophic avalanche. Someone write an article on that, please). The secret to caramel success that I had been missing for so long is to cook the caramel a second time, after all of the cream and butter and salt have been added. Maybe this is a well known thing among everyone but me, but every recipe I have tried up until now has skipped that part. It usually ends with instructions to remove from the heat, stir in the butter and pour out of the pan. But actually, that second trip back to the stove is when you get to decide how thick you want your caramel. The first cooking (of the sugar and water) dictates how dark it will be. I like it between 340-350 for a really dark caramel. Then the cream get whisked in, the butter gets all melted and salt gets added. And THEN, you cook it again at a simmer until it is just a little thinner than you want the end product to be. If you want an ice cream level syrupy caramel, go for about 5 minutes. If you want a thick spreadable caramel for in between sandwich cookies, go for about 10. And if you want perfectly gooey cupcake caramel that is firm enough not to soak into the cake but soft enough to make the stringy, melty caramel swirls of your dreams: I found 8 minutes to be just the thing. 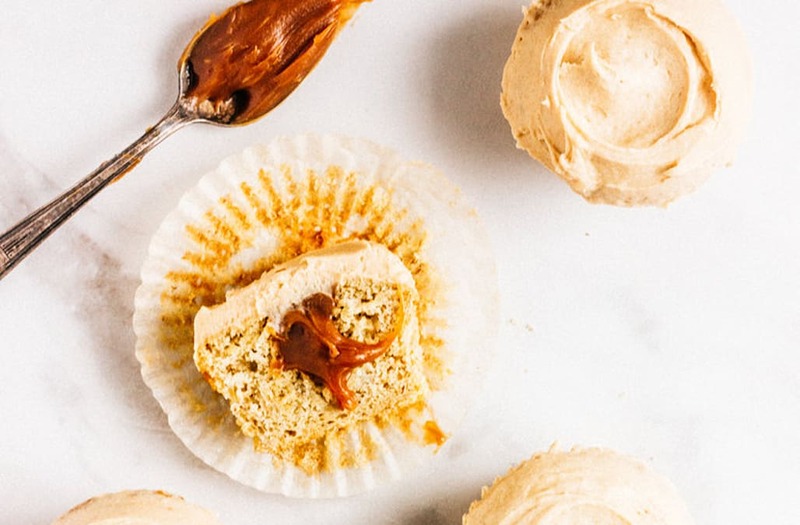 And what better thing to do with absolute caramel perfection but use it to fill a super soft, moist banana cupcake topped with brown sugar cinnamon cream cheese frosting? I mean, come on. This banana cake is basically a slightly more dessert-y version of banana bread. I was just going to do cream cheese frosting on top, but then I added brown sugar and cinnamon and I am so glad that I did. It tastes like a frosting version of the brown sugar cinnamon Pop Tart (the very best pop tart, no arguments allowed) and I want it on everything. Now that my caramel fears have been cured I kind of want to make everything caramel filled. So get ready. But in the meantime, just start with these cupcakes. Note: This makes kind of a lot of frosting but I always like to err on the side of too much vs. giving people unfrosted cupcakes. If you plan to pipe on frosting in a heap, this is a good amount. If you're a more conservative, thin layer of frosting type person, you could probably cut it in half. Preheat oven to 350. Line a 12 cup cupcakes pan with paper liners. In a bowl, combine flour, baking powder, baking soda and salt. In the bowl of a stand mixer, beat butter and sugars for 3 minutes. Add the egg and egg yolk and beat for 1 more minute. Scrape down the bowl well and add the bananas and vanilla. Mix well. Add the dry ingredients in 2 additions, alternating with the sour cream. Mix until combined. Divide batter between the pans. Bake 18-20 minutes, until a tester inserted in the center comes out clean. Meanwhile, combine the sugar and water for the caramel in a large saucepan over high heat. Stir until the sugar is wet and sandy, then stop stirring. Let the sugar cook undisturbed for 8-15 minutes, depending on how dark you want it. Aim for between 320-350 degrees on a candy thermometer. Heat the cream in the microwave until it is just warm to the touch. If you add cold cream to the sugar it will seize up. Once the sugar is cooked, remove the pan from the heat and slowly whisk in the cream. It will bubble up, so pour slowly. Add the butter and salt and whisk until the butter has melted. Return the pan to the stove at medium-low heat and simmer, stirring often, until it is the consistency you want. I found 8 minutes to be perfect for filling the cupcakes. Keep in mind that it will firm up slightly as it cools, so pull it while it is still a little thinner than you would like. Remove from the pan and let cool to room temperature. For the frosting, beat the cream cheese and butter in a stand mixer until smooth. Add both sugars and mix on low speed until combined. Scrape the bowl and add the vanilla and cinnamon. Increase the mixer speed to medium-high and beat the frosting until light and fluffy, 2-3 minutes. Once the cupcakes have cooled, use a spoon/knife/whatever you can find to form a hole in the top. Rather than scooping out a big hole and throwing away the extra cake, I like to form the hole and just press the extra cake down into the bottom. This makes the bottom a little extra dense, which is good for holding up to fillings and also saves you from wasting any cake. Fill each hole with caramel using a spoon or piping bag. Frost cupcakes and serve. 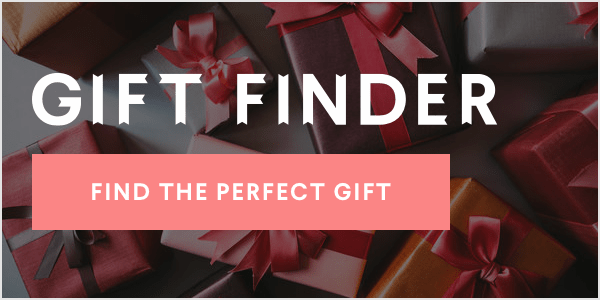 The post CARAMEL FILLED BANANA CUPCAKES WITH BROWN SUGAR CINNAMON FROSTING appeared first on The Whole Bite.